Born: 10th March 1883, Ipswich. Died: 1st November 1914; age 31; KiA at the Battle of Coronel. Residence: 76, Albion Street, Ipswich. Enlistment: Location: Chatham. Signed up for 12 years – 10th March 1901. Height on joining – 5ft 1 1/2ins, at 18 years old – 5ft 9ins, fair complexion, blue eyes & brown hair. Tattooed on left forearm. Pembroke I – Able Seaman – 25th November 1911 – 25th April 1913 – Shore. Joined the Royal Fleet Reserve – Chatham – 26th April 1913. 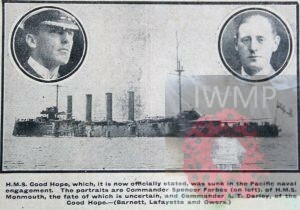 Good Hope – Able Seaman – 31st July 1914 – 1st November 1914. Regiment: Royal Navy, (RFR/CH/B/9638), H.M.S. ‘Good Hope’. Relatives Notified & Address: Son of Edmund W. Brown, of 76, Albion Street, Ipswich. 1891 14, Fore Hamlet, Ipswich. John was 9 years old and living with his parents & siblings. Edmund William Brown, 44, a Miller’s Carter, born Levington, Suffolk. Emily Brown (nee Nunn), 41, born Ipswich. George William Brown, 16, an Agricultural Labourer, born Ipswich. Lucy Rachel Brown, 11, born Ipswich. Edward William Brown, 6, born Ipswich. Flory Ann Brown, 3, born Ipswich. baby Brown, 2 days, born Ipswich – (Albert Arthur Brown). 1901 Sheerness No 4 Buoy, Kent. John was 18 years old, Ordinary Seaman of the Royal Navy, on board H.M.S. ‘Furious’, a 2nd Class Cruiser of the Station – Channel Squadron. Captain – Frederick T. Hamilton. 1911 8, Military Road, Chatham, Kent. 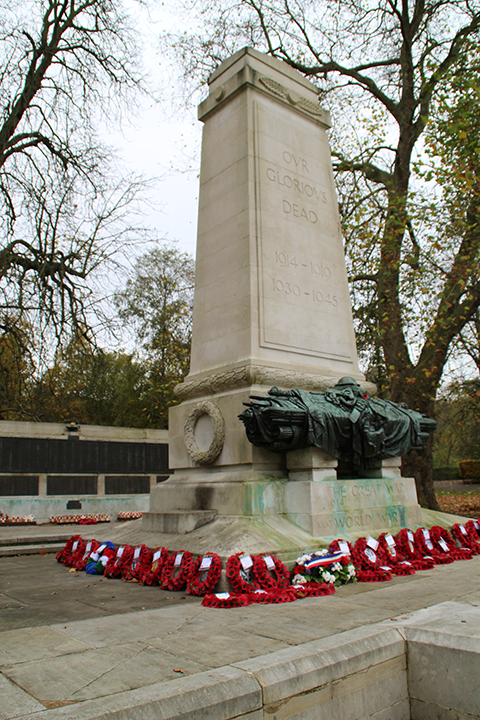 John was 28 years old, an Able Seaman of the Royal Navy. John is also remembered on the war memorial at Holy Trinity Church, Ipswich. 7th November 1914 Daily Mirror newspaper.